When: February 4, 2019, at 8:30 a.m. Call the N.C. 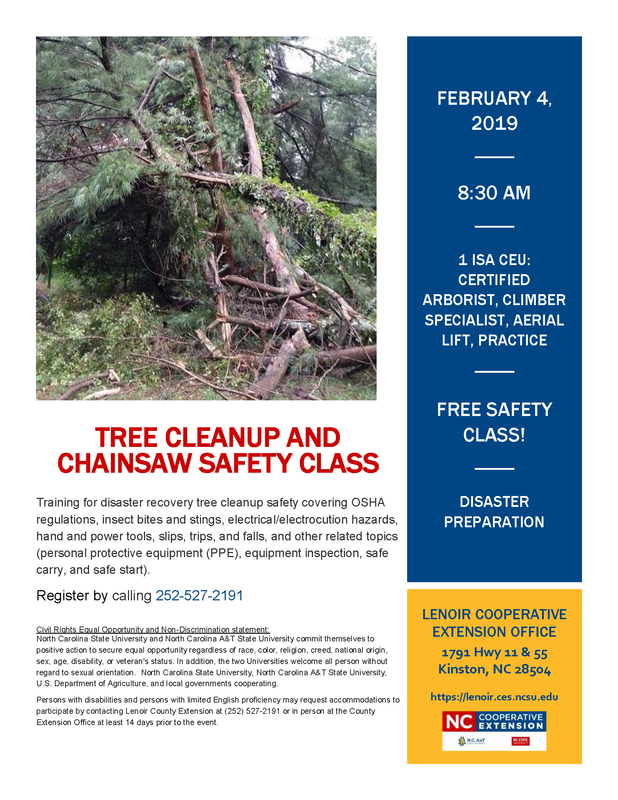 Cooperative Extension of Lenoir County office for more information at 252-527-2191.